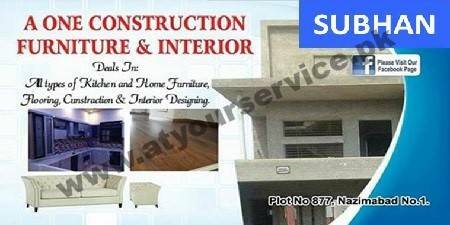 A One Construction, Furniture & Interior is located in Nazimabad No. 1, Karachi. It provides consultation and deals in interior designing and construction works for all type of kitchens, home furniture, flooring etc.